i was lucky enough to spend the afternoon with angela of flora & fawn over this long (& lovely weekend). she hosted an intimate workshop & let us make a couple of enamel pendants. 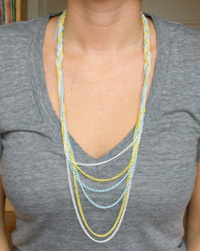 i was amazed by the process & have a new appreciation for jewelry makers; angela was so knowledgeable & a fantastic teacher. 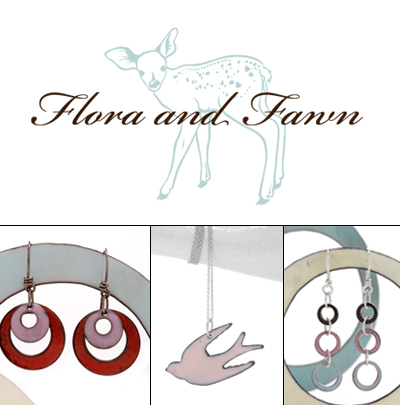 to learn more about how she makes her goods, visit her write up on the enameling process & if you'd like to pick up some of her beautiful jewelry, visit her website to find stores that sell the flora & fawn line. to see pics of the workshop.